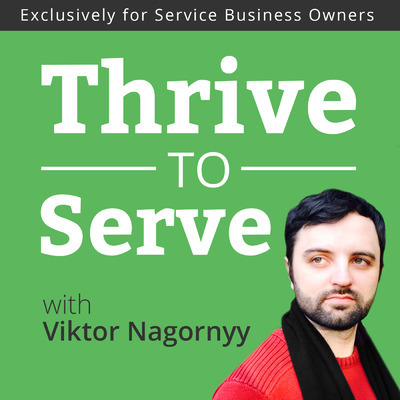 Exclusively for service business owners, Viktor Nagornyy brings real stories and proven experience from successful service business owners to help you create sustainable, profitable growth for your service business. Tune in second Tuesday of every month for a new episode to learn how to run a thriving service business, because you owe your clients to run a thriving business. Together, we shall thrive! Thrive to Serve Podcast is brought to you by ProjectArmy.